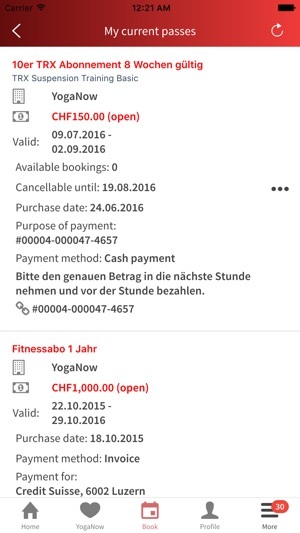 With the free SportsNow app you can easily choose one out of thousands of sports and fitness activities and book classes or workshops directly - anytime and anywhere! 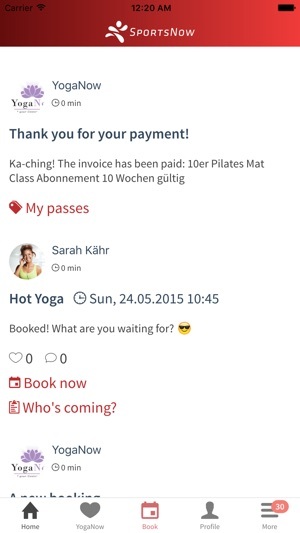 * See classes, events and workshops in real time and book them directly. 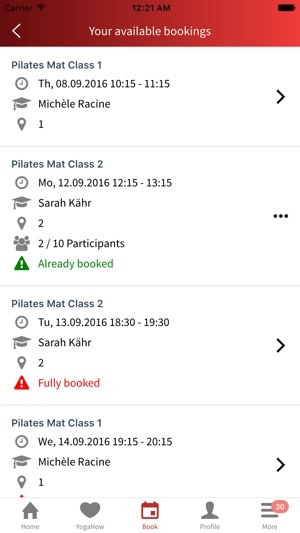 * Subscribe to waiting lists of fully booked classes, events or workshops so you will never miss anything again. * Easily cancel bookings online rather than having to make phone calls or to go to the studio. * Purchase passes and tickets online to benefit from numerous discounts. * Keep overview of your passes, tickets and invoices at any time. * Extend or cancel your passes if necessary. * Stay informed about news. * Get notified when plans change, a class gets dismissed or anything important happens. * Discover the best fitness studios nearby. 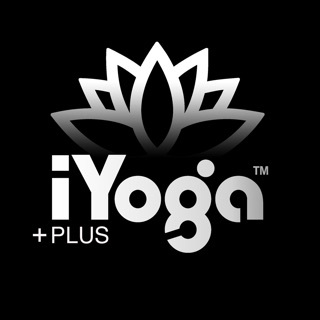 * Try out new sports and fitness activities. 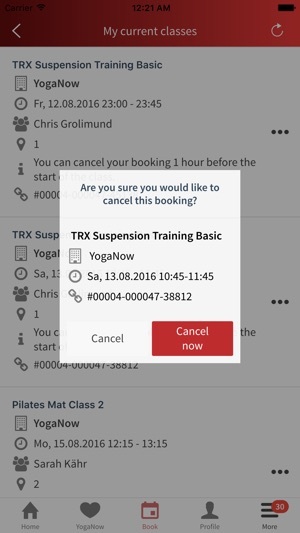 Before you know it you’ve booked your next workout with the mobile app of SportsNow. You can now choose which notifications you want to receive in the settings. Every update includes improvements to make your app faster, more reliable and more stable. New features are highlighted for you in the app. 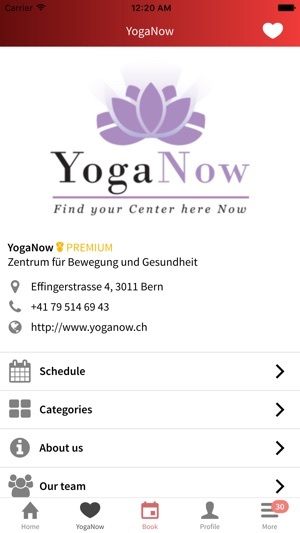 In case of problems, concerns or suggestions please contact us at support@sportsnow.ch. We are happy to help you and we highly appreciate your feedback!